Please enter your sign in information. 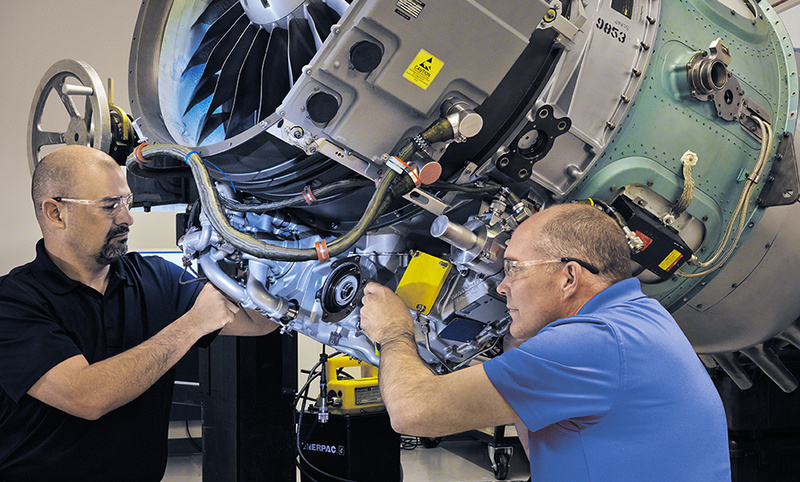 Customers who operate Pratt & Whitney Canada engines and APUs can now tap into the training expertise and global presence of FlightSafety International. Pratt & Whitney Canada’s relationship with FlightSafety means you can take advantage of the highest-quality interactive training and commitment to Customer service on the full range of Pratt & Whitney Canada products. Our partnership leverages Pratt & Whitney Canada’s expertise and FlightSafety’s experience as the world’s premier professional aviation training company to enhance your skills and develop, expand and refine proficiency. Instruction can be administered at your location. Our technology-based training curriculum is available for APUs and the full range of Pratt & Whitney Canada engine products, including turboprop, turbofan and turboshaft. All courseware is updated to include online and interactive training. In-depth classroom and hands-on practical training develops, expands and refines proficiency. Benefit from use of full-scale systems trainers, major component cutaways, working models, maintenance task simulators and a large variety of test equipment used to demonstrate procedures and reinforce the information learned in the classroom. FlightSafety and Pratt & Whitney Canada have entered into a long term collaboration agreement to enhance the customer training experience for all P&WC customers around the World. In addition to locations in the US and Canada, P&WC training is provided at locations in Europe, Asia, Africa, Australia and South America. Have questions for Pratt & Whitney Canada? The content of this site originated in English. If there are differences between the English content and its translation using Google Translate, the English content is always the most accurate.